It's hard to believe it's the middle of April. Despite our rapidly melting snowbanks (they were HUGE - taller than my husband!) and spring jacket temperatures, we woke up to a snow squall this morning. It was discouraging (I don't want to scrape the car again until next year! 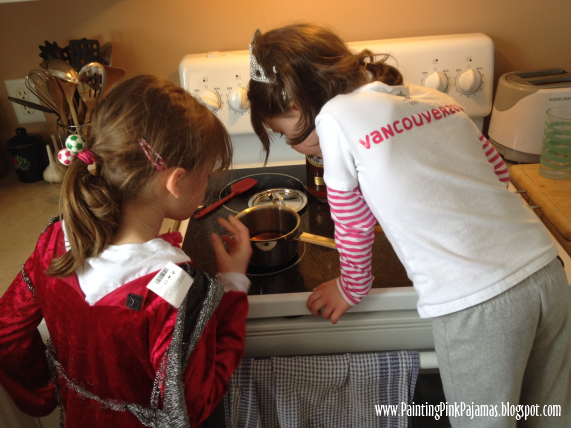 ), but the fresh snow gave us an opportunity to try one last winter activity that I'd been hoping to try with the girls - making maple syrup candy! I followed the directions here, but forgot that our candy thermometer broke a while ago. We boiled the maple syrup and waited for it to get frothy, scooping up a bit occasionally to see if it was getting thicker. 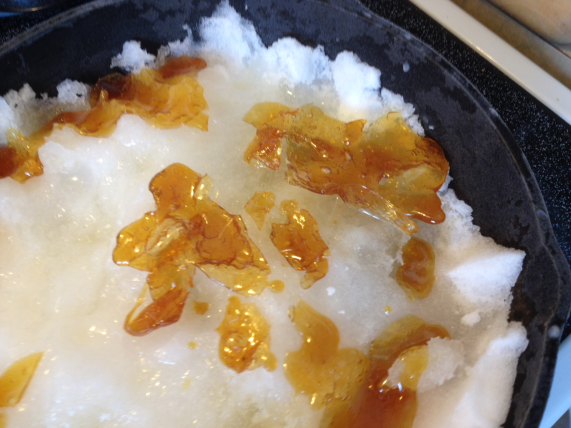 The temperature may not have been 235 F like in the directions, since our maple syrup was more like candy than like taffy, but it tasted great. I was honestly worried that I might lose a tooth though! I'd like to try molasses candy too. 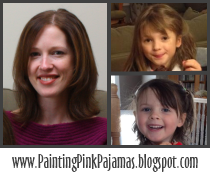 We love molasses around here! Yum! We bought a very soft kind of maple candy as a treat in Massachusetts. I want to learn how they make that!